Top Franchise. Find franchise opportunities fast! Discover franchises for sale in your area! Looking for the right Franchise? Top franchise surveys the satisfaction of existing franchises through our annual awards program so you can see who's performing best. Congratulations to the 2018 topfranchise award winners brought to you by 10 THOUSAND FEET Research. 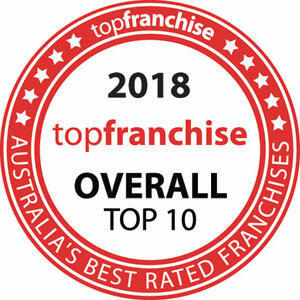 Below are the 2018 topfranchise award winners by category as rated by their franchisees. Every year the topfranchise Awards recognise best practice within the franchising sector across six categories; marketing, branding, passion, support, lifestyle and expansion. Entering all six categories is required to compete for the overall award. 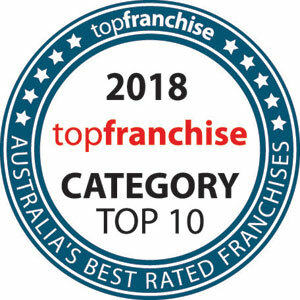 The Top 10 Awards recognise franchises that perform well in the selected category as rated by current franchisees so you can find the best franchises for sale in Australia. There are six different award categories to enter with one overall category. Franchises enter into one or more categories by having their franchisees surveyed on the topic. Each category specific question is weighted according to its importance to franchisees. Weightings are determined by sophisticated (multivariate) market research techniques. The Awards are then presented to potential franchises to help them make a more informed choice about the franchise which will suit their needs.